Honeywell is a Fortune 100 company involved in delivering innovative technologies to organizations through energy efficiency, safety, security and productivity. In India, Honeywell is one of the largest energy services company and works with commercial and industrial customers towards providing state of art solutions to both existing buildings as well as new buildings. Honeywell wanted their Ruby Hall Clinic project at Wanowarie to be developed as a green hospital and appointed Conserve Consultants as sustainability consultant. Ruby Hall Clinic is a boutique hospital with high end medical facilities clubbed with support services for the care and comfort of the patient. This was also the first hospital in Pune to receive NABH & NABL Accreditations by Quality Council of India. Ruby Hall Clinic blends super design for highest patient comfort and quality of care with an approach that is energy efficient, environmentally friendly and ecologically sustainable. Honeywell’s client Ruby Hall Clinic opted to be ‘green hospital’ and targeted for LEED India certification for their measures in conservation of resources and projects efficiency. The challenge was to adopt a whole-building approach to sustainability and has implemented an array of energy efficient measures to decrease energy consumption, lessen greenhouse gas emissions and enhance the quality of patient care. To Build a Green Hospital and ensure sustainability and efficiency, it is important to incorporate the green elements right from designing the building. Almost 60% of energy used in a hospital is actually for air conditioning and lighting. To conserve energy without impacting the core functioning of any medical equipment, especially lifesaving equipment is the biggest challenge. For this project Conserve focused on 42 specific actions in the areas of Sustainable Sites, Water Efficiency, Energy & Atmosphere, Materials & Resources, Indoor Air Quality and Innovation in Design to get a Gold Rating. Various activities were undertaken to reach the goal of becoming a green hospital such as use of ecologically friendly building materials, energy efficient building envelope optimizing the requirement for air-conditioning and lighting, real time monitoring and control of energy & environment parameters using state of art building management systems. 100% waste water treatment with re-use, 100% rainwater harvesting and 100% organic waste composting onsite were the key determining factors, considering high waste generation in hospitals. The project received a Gold rating by the IGBC focused on 42 specific actions in the multiple areas to get LEED India Gold rating. The project was able to optimise its life cycle cost by 20 per cent YOY with a slight increase in capital expenditure. 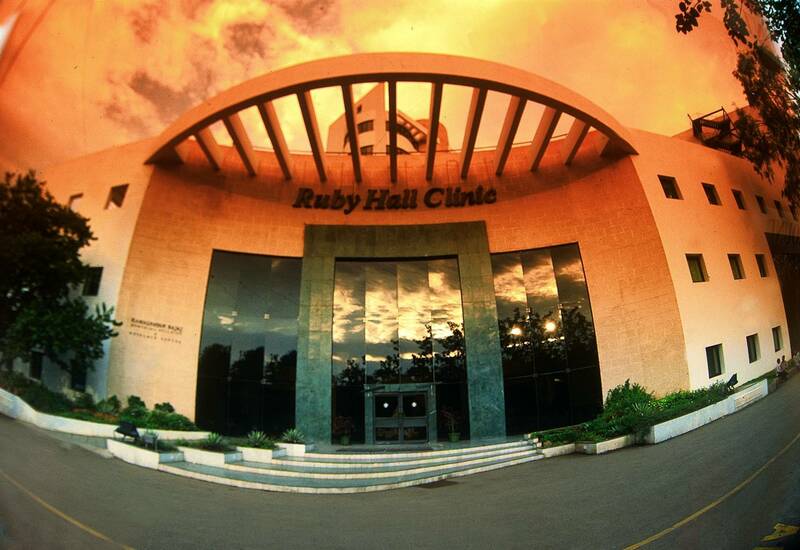 Ruby Hall Clinic became the first hospital to receive LEED India Gold award in Pune. It was only the third hospital in India to receive such an award.